Brazilian jiu-jitsu is a combat style of martial art that focuses on grappling and ground fighting in order to subdue an opponent into submission. There are some interesting facts revolving around BJJ that many who have heard of the sport (and perhaps even those who have practiced it) don’t know. 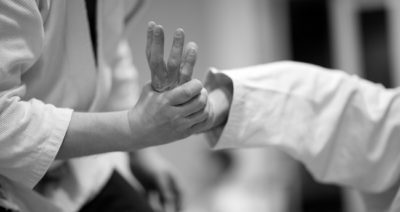 These little-known facts can help you to better understand the martial art and may entice you into giving BJJ a try! 1. BJJ was found by Esai Maeda in the early 1900s as a weaponless method of defense for Samurai warriors. 2. Jiu-jitsu can be translated as meaning “gentle art”, where “jiu” translates to “gentleness” and “jitsu” translates to “art”. 3. It takes about 8-13 years to become a black belt in BJJ, and it requires a very high level of dedication and commitment! 4. The principles of BJJ are based upon the idea that someone who is smaller can take down a larger opponent, regardless of size. 5. Jiu-jitsu can be done with or without a gi, and the rules and strategies change based on whether or not a gi is worn. 6. People practice the art of BJJ for many reasons, including competition, general fitness and exercise, and self-defense. 7. Helio and Carlos Gracie are credited as the creators of modern-day BJJ, and many in the Gracie family practice to this day. 8. Mel Gibson was once trained in Jiu-Jitsu by Rorion Gracie as part of his preparation for a movie. 9. There’s actually only a small amount of black belts in BJJ out there — right around 5,000. 10. BJJ is one of the most rapidly growing martial arts in the world! If you’re interested in finding out more about BJJ, Believe MMA is a great place to start. We’re here to help kids and adults alike in their martial arts journey, including those practicing BJJ, MMA, and Tae Kwon Do. To find out more about our membership options, contact us today!